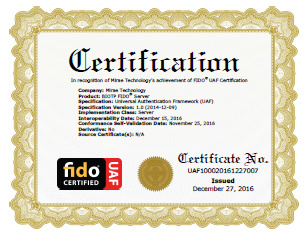 FIDO (Fast Identity Online) is a technology standard regarding recognition methods using rhythm recognition skill in the online environment that a international online authentication consortium council called FIDO Alliance has set. 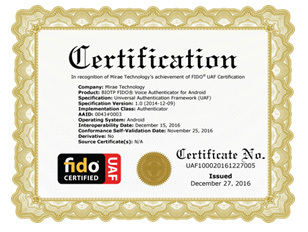 FIDO 1.0 formally announced with the international authentication skill standard completion in 9/12/2014. FIDO is used safely and simply in places that need one's authentication such as login, transfer and payment. 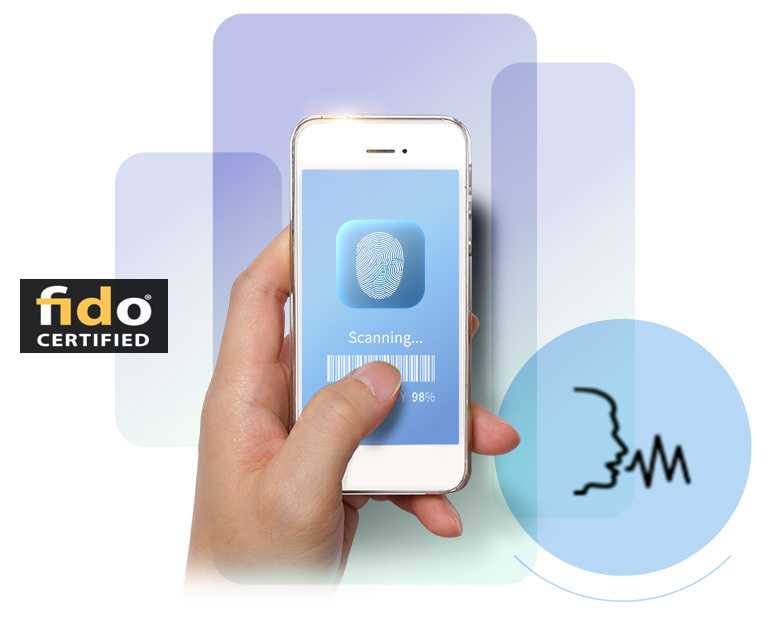 Skill verified through FIDO integrated authentication acquisition such as server and client is secured. 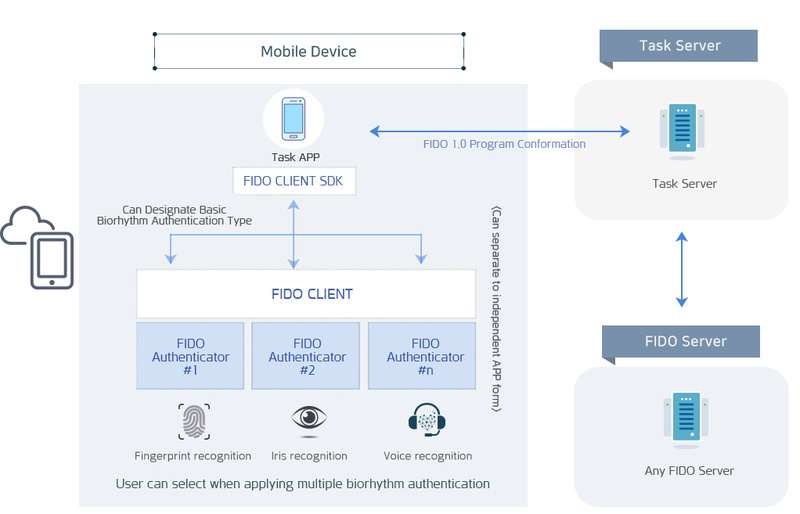 Through the world's first voice authentication device FIDO authentication acquisition, FIDO biorhythm authentication universality expanded. By fusing the country's best OTP skill, realization of safe, convenient and simple authentication without passwords. Compatibility regarding rhythm recognition module that abides by FIDO standard provided. Can apply biorhythm authentication to diverse service environments. 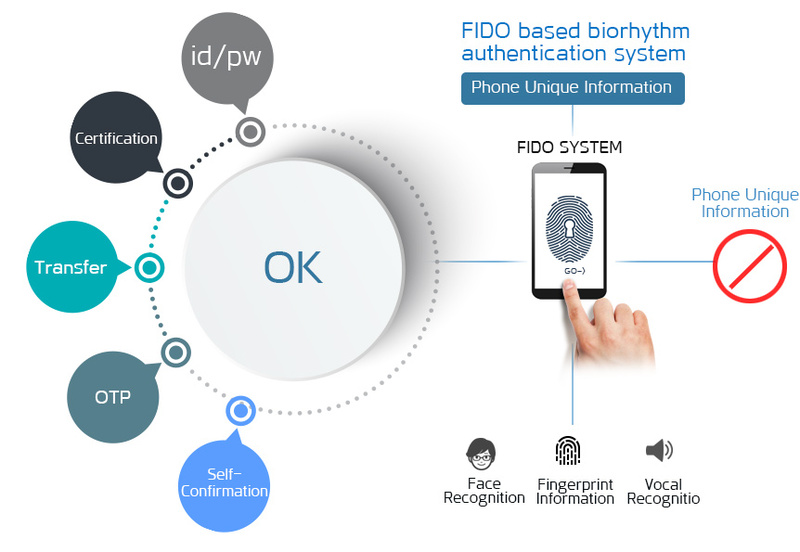 With the fusion of FIDO authentication and OTP authentication, increase the security of the FIDO authentication and strengthen the convenience of OTP authentication. Through the multi-factor authentication realization using biorhythm authentication, strengthen authentication level regarding service use. Easy and convenient user self-confirmation process provided.